With over 20 million inhabitants, Lagos is a rapidly growing megacity. The existing roadway infrastructure in which the current mass transport options rely, is heavily overcrowded with Lagosians spending up to 6 hours of their work day commuting in heavy traffic. 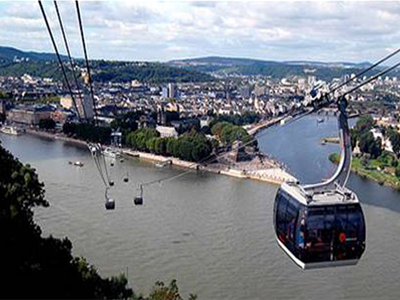 The cable car transport project, which will be affordable to all, will act to relieve pressure on the traffic system and reduce average journey times by as much as 70 minutes each way, with 9,000 vehicles taken off the roads each day, alleviating congestion and reducing pollution. 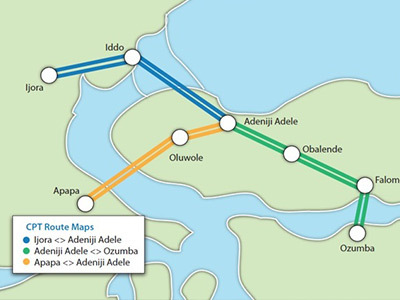 With construction planned to commence in 2013 and operations starting in 2014/2015, the project comprises some 8 stations in three routes beginning at Ijora, Apapa and Victoria Island respectively and with a central hub around Adeniji Adele. The system will be designed to accommodate up to 240,000 trips daily. Financing will be met by through a consortium of local sponsors and international and local financial institutions lead by the African Development Bank (Afdb).